China Great Wall Industry Corporation (“CGWIC”), a subsidiary of China Aerospace Science & Technology Corporation (“CASC”), and Indonesia PT. 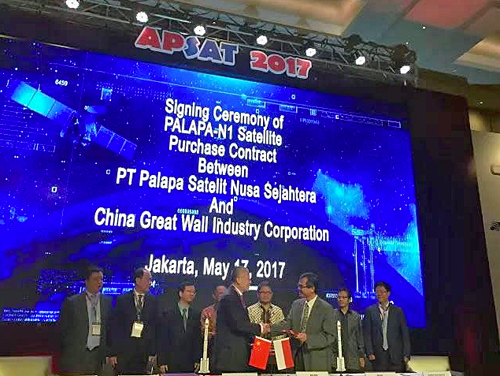 Palapa Satelit Nusa Sejahtera (“PSNS”), has signed the contract for the Indonesian “PALAPA-N1” communication satellite project. Mr. Rudiantara, the minister of Indonesia Ministry of Communications; Mr. Sun Weide, Charge d'Affaires of the Chinese Embassy in Indonesia; Mr. Yang Baohua, Vice President of CASC and representatives of both parties attended the signing ceremony. PT Palapa Satelit Nusantara Sejahtera (PSNS) is a JV company formed by PT Indosat, Tbk (Indosat Ooredoo), PT Pasifik Satelit Nusantara (PSN) and its shareholder. According to the contract, CGWIC is responsible for on orbit delivery of the PALAPA N1 satellite, which will be developed using the DFH 4 bus and the satellite will be launched via a Long March 3B launch vehicle from the Xichang Satellite Launch Center in China. PALAPA N1 will provide broadcast and broadband services across Indonesia and will be finally positioned at 113 degrees East to replace the PALAPA-D satellite, which was launched by a LM-3B launch vehicle from Xichang Satellite Launch Center in 2009. 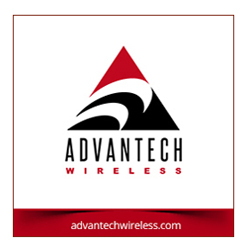 CGWIC will provide a package solution with the products and services to the client that include the satellite, launch service, ground system, insurance and financing support. The PALAPA-N1 satellite is developed by China Academy of Space Technology (“CAST”) that is subordinated to CASC. A framework agreement of PSN-VII satellite was also signed by CGWIC and PSN during the signing ceremony. The President of CGWIC noted that the PALAPA-N1 communication satellite project is the first Indonesian communication satellite to be produced by China.